The warriors of the night return in High 5 Casino‘s 270th slot game, coming tomorrow! Return to the mysterious lunar realm where extraterrestrial danger looms during an eclipse! The ethereal beautiful queen sends her divine source through this unusual cryptic world to illuminate the darkened sky with their healing energy. Astronomical wins reign upon when the warriors of the night take to the atmosphere! Light up the night in Moon Warriors: Celestial Treasures! Are you ready create astronomical wins as you return to your favorite lunar realm? Comment in the conversation bubble located on the top right corner of your screen and let us know what you think! 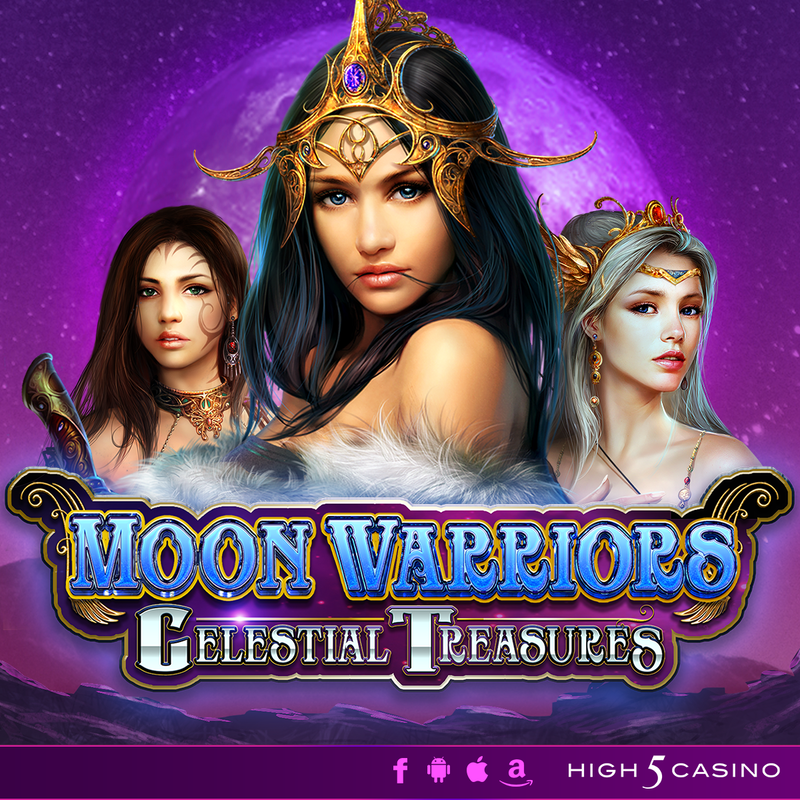 This entry was posted in game preview, High 5 Casino, High 5 Games, High 5 Moments and tagged game preview, High 5 Casino, High 5 Casino Mobile, High 5 Games, mobile gaming, Moon Warriors, Moon Warriors: Celestial Treasures, slots, Symbol Fusion, Treasure Tier Bonus by hoothigh5. Bookmark the permalink.